Another guest this week as Ntronium Studios lead Bob Smith talks to Troy and Tom about the imminent release of Armada 2526. Bob is a veteran of Creative Assembly and has been making games for over a quarter century. Is there room for another 4x sci-fi game? And how do you differentiate one title from another? Great. Looks like it’s a game I’ll definitely buy, and I’m not sure I’d be aware of it if it wasn’t for this podcast so, thanks. And, of course, great podcast overall. Love it. Keep it up! I really enjoyed the podcast as always. Bob seems a bit understated, he kept saying essentially “there’s nothing special about my game” and then you’d extract from him another 5 things that seem unique and cool about it. Another game I am definitely interested in that I did not know existed. Really looking forward to Vic’s return. Did the Republic of Rome game join Dominions 3? Oh man, Bob sounds like he was on Valium or something. He was so relaxed. What’s it like living forming a game studio in Thailand? OH, you know, it’s just a place. But every time you guy teased actual game details from him they sound totally awesome! Variable victory conditions, skunkworks, the RTS battles that don’t bog down, simultaneous turns, super ships that require rare resource planets. Every detail sounds rad, when you finally got him to talk about them. That guy needs to market himself a lot better. Bob was clearly a guy who knows his stuff, especially about the ins and outs of building Strategy games, but what was very apparent was he’s not a natural publicity guy. It was good to have Tom and Troy roll out specific questions which promted Bob to answer them with some very interesting insights into the features inherent in the game itself. And regardless of Bob’s calm and almost passive manner regarding selling the game, the information imparted has certainly moved my stance on the game from a casual glance to a purchase. The features I like the sound of include the structured fleet combat, the minimising of economic micromanagement, and the fixed pool of ship composition and the carefully balanced tech tree without progressive redundancy built in. I’ll certainly follow the game with interest now, and since release is imminent, it’ll be time to part with some more Spacebucks. 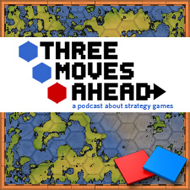 I must say Troy, I’m very impressed with TMA’s coverage of these independant strategy games recently, with AI Wars, Armada 2526, and Solium Infernum – we’re being spoilt with good quality genre evolving strategy games. Keep it up! Thanks for putting the interview up – I play tested both 2525 and 2526 and also I think Bob is a bit understated; it really puts an emphasis on developing unique strategies for different races. I really think it a step up from the GalCiv and MOO series in terms of getting away from the “incremental” research model. I would love PBEM too. Available for purchase and download from Matrixgames.com now (11/24/2009). No wonder Bob was glad Matrix were handling the publicity, he really sounded like he was bringing expectations to Earth and then dragging them to the underworld. Thank God you managed to ask enough questions that we got details because, when he gave details, every single one sounded awesome. Definitely one to check out.